Growing up, my grandmother, Goldie (Simpson) Edwards, played a pivotal role in my life. Living next door to her, I spent much of my time at her home. Later, when she moved across town, Mom would drop me off at “Grammer’s” house before school, and the bus would take me there after school. Grammer was the kind of grandmother most kids would want – prepared with cookies and milk when I’d get off the school bus, and always ready to help with home work. At Christmas time she could never keep a secret from me. I don’t recall a year she didn’t tell me what gift she’d have for me under the tree (and sometimes she’d even let me see it! ), but always warned me to “pretend to be really surprised!” As a grew up, I began paying closer attention to when she’d tell stories about how family. 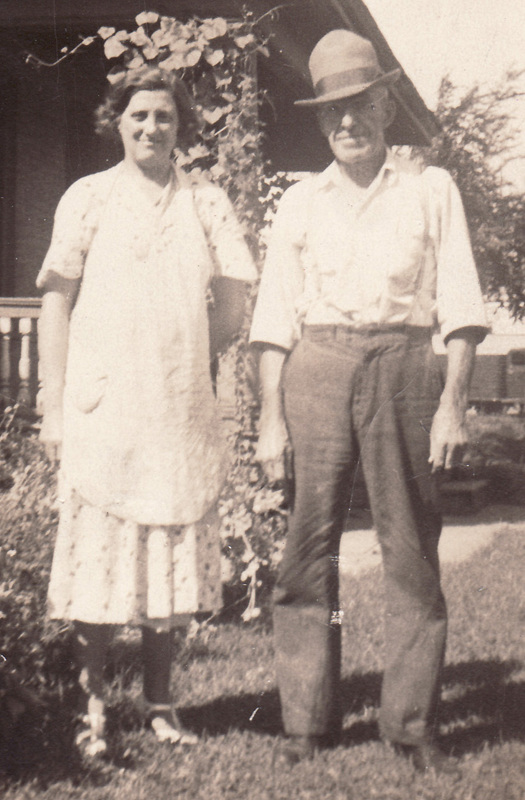 She always spoke with great pride when she’d talk about her mother being a Stanwood. She’d saved old letters and photographs that would later provide my first clues when I began researching our family history. Like most genealogists, my first efforts began at the National Archives. I’d spend hours scanning the censuses, and would come home and look for more clues, searching for something I’d missed. Eventually I was able to locate cousins who were also tracing our heritage, and through them obtained more hints to solve family puzzles. After my grandmother died, my mother took a keen interest in genealogy; one of my best memories of my mother was our 2004 research trip to Bar Harbor, Maine, where we visited home of many Maine Stanwoods, descendants of our ancestor Job Stanwood. My mom passed away just two years later, and I will forever be grateful for the hobby we shared together in her last years. With the passage of time genealogy has certainly evolved; so much information is now available online. Even without a subscription to genealogy databases, one can find clues by “Googling” their surname. While I’ve had many web sites through the years, this is my first effort at posting my family history online. Extending it through a blog to reach out to other cousins is also new – time to catch up with the 21st century! This entry was posted on Wednesday, May 19th, 2010 at 3:52 AM	and tagged with Simpson, Stanwood and posted in My Family Lines, Research Trips, Web Sites. You can follow any responses to this entry through the RSS 2.0 feed.